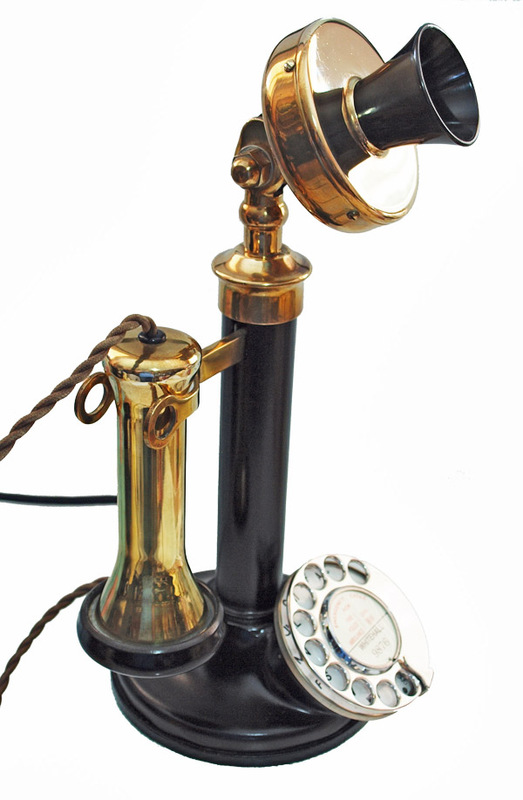 Quality reproduction Candlestick telephone | reproduction candlestick and genuine bell set. This is a very nice reproduction and in fact would be very hard to tell it was not the real thing. The brass work is as near perfect to original but with no GPO markings etc. 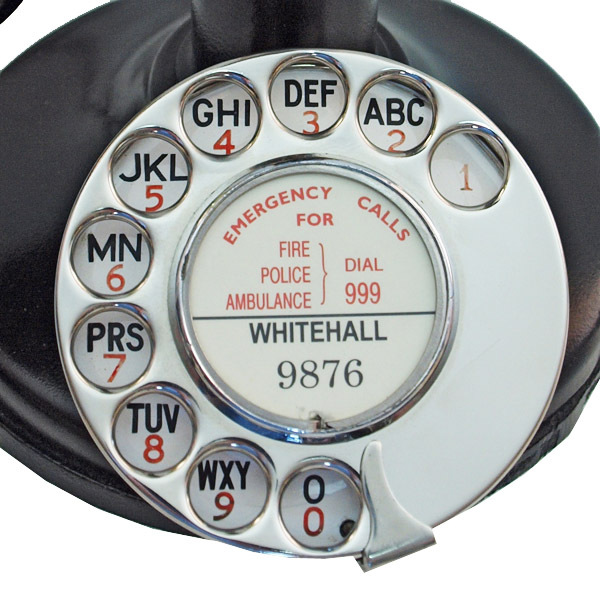 Please note this is fitted with a wonderful genuine GPO No12 dial with enamel dial face. The brass work is beautiful and will bring some bling into your life. 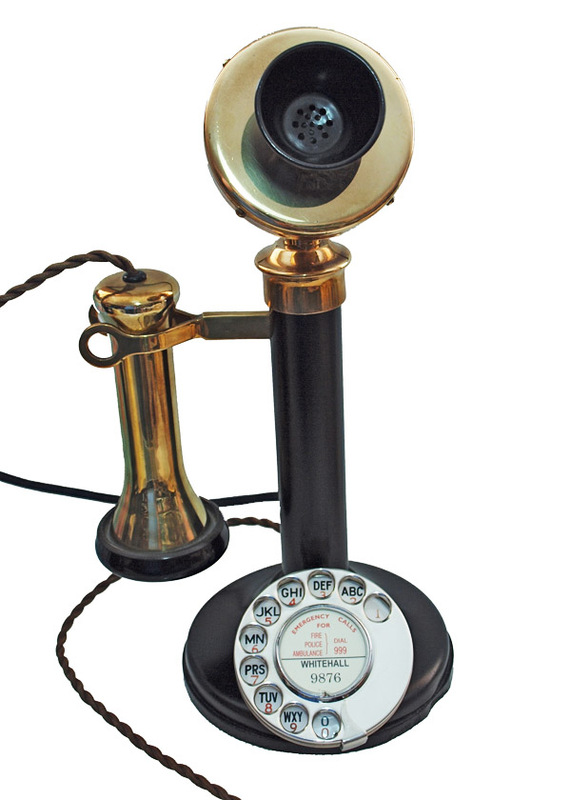 The GPO would have had all this coated in a black finish.The earpiece has a very nice original braided cord and the lead from the bell set to the telephone is a round braided type used by GEC in the 1950s-1960s. 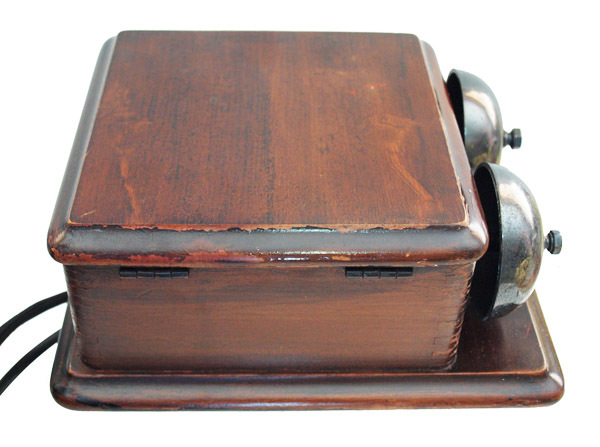 This one has a wonderful little telephone board fitted inside. These were only made for a short period and were quite expensive but do produce perfect transmission and reception for modern use. 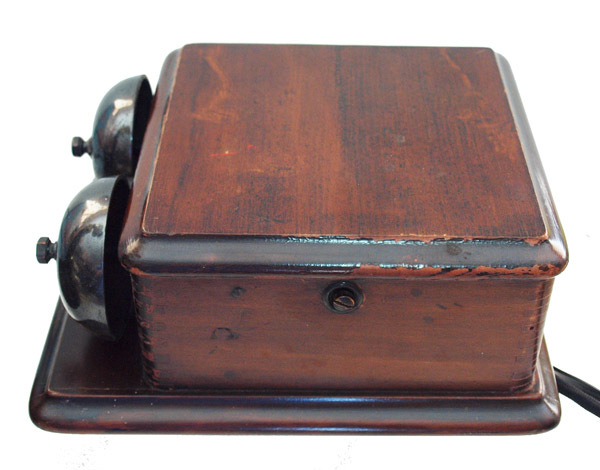 The bell set is a very good as found GPO bell set No1a made in around the 1920s and so will produce the correct bell sound and is totally original.